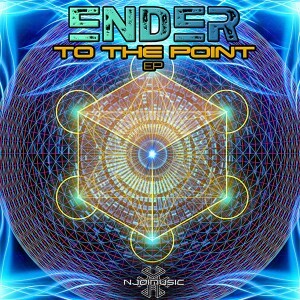 Australian melodic progressive psytrance artist Ender brings you his debut release on NJOI MUSIC, To The Point. The name comes from what science calls ‘the zero point” or “singularity”, the “transcendental object at the end of time” in the words of Terrence McKenna, a moment that is continually getting closer and closer to our conscious experience of reality. With this theme in mind the release is deep and reflective, displaying a wide range of emotions. All songs written and produced by Jesse Sugden except track two, written and produced by Nick Andrews AKA Dirtron and remixed by Ender. MP3 Download | FLAC Download | WAV Download · Download count: 7,376. Good melodies and excellent spatial effects. That’s nice. Loving this fresh sound! I want more! Discovered Ender thanks to this site. I’m still in love with it. Love its sounds and musical energy. Peace. waiting for more high quality music from you!! Wow thanks so much everybody it warms my heart to see your feedback. Thanks for listening, I’ve got a downtempto release coming out soon! This is a sound so filled with character and spiritual atmosphere. Thank you, and I’m really looking forward to upcoming releases. I like the trance music aspects of this album, but the samples that talk about woo woo stuff are a bit off-putting. A very solid ep. Rewrite History was incredible. Thanks for making it!! This experience enriches my life. Every time. Blessings! very very good. very fresh and hits the sweet spots . Ender is epic, I was lost in this nexus of music !!! I agree with Mookie on this one. Still a D/L though. No offense, but why always this Terence McKenna? Never understood what’s so special about this guy. He talks alot of nonsense.